The Brumbies and Rebels kicked off their 2019 campaigns with a trial match in Canberra. It was a chance for both side to put the pre-season work of smashing tackle bags and dominating of witches hats into practice. In tough conditions with the temperature 37 at kickoff, the game was played in three 30 minute periods and it was the Brumbies who ran out 52-38 winners. Both sides were without their Wallabies players so it was a chance for the youngsters and newcomers to show the coaching staff what they can do and put their names forward for selection in the matchday 23 when the Super rugby season starts in three weeks. The much-awaited appearance of Quade Cooper in the Rebels playing kit didn’t eventuate as he watched his new side from the pine after suffering a knock to the knee at training during the week. Billy Meakes took the starting fly half duties with Cooper offering his observations and tips to Meakes and the others who took the fly half duties during breaks in play. With the Brumbies resting the majority of their Wallabies contingent, Tom Cusack took the 7 jersey for the tonight and looked right at home with a number of big plays and runs in the wider channels. Cusack took a break from the 2018 NRC competition to recalibrate his body for the rigors of Super Rugby. 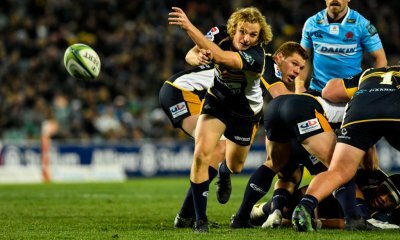 With David Pocock expected to have a rest at times during the season in preparation for the World Cup, the Brumbies look to have a seamless transition ready made. 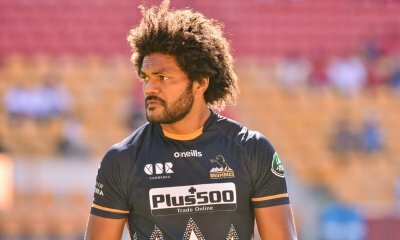 Kuridrani missed the back end of the 2018 season with a shoulder injury in the last game of Super Rugby but looked to hit the ground running with the benift of his first full pre-season in about six years. A solid 45 minutes of play saw him bag a hat trick after running good support lines off a number of line breaks with the Brumbies willing the spin the ball wide when given the chance. With the departures of Lopeti Timani, Amanaki Mafi and Colby Fainga’a, the Rebels were still able to call on the experience of Angus Cotrell and Richard Hardwick to start and were joined by huge unit Esie Haangana in the starting side. The breakdown was a hotly contested affair with both side putting in some big hits and these guys were willing to show coach Dave Wessels what they can do and put their hand up for a starting spot in three weeks time. You could tell it was the first game of the season with a bit of enterprising play mixed in with some average play from both sides. 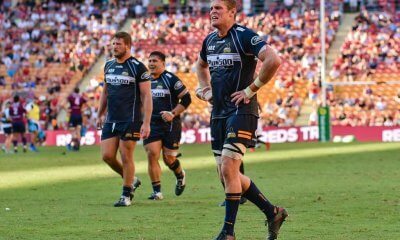 Maybe it was down to the heat but there looked to be some errors under fatigue with the Brumbies guilty of a lot of dropped ball and charged down kicks to put themselves under pressure in their own end. The Rebels scrum was under the pump throughout with a number of penalties against them but they more than made up for it with a lot of grunt work from the boys up front with a few short range tries plus a 40 metre kick downfield from Sam Talakai that brought the Rebels bench to their feet. Beaudein Waaka who filled in at fullback for the Rebels had a solid game and his background with the New Zealand sevens squad could make him a handy addition to the squad in the long run. Here’s a couple of the Brumbies tries including the Kuridrani hat trick thanks to Brumbies Rugby and Bar Sports TV. Great work Steve. The game answered one question, would I favour Brumbies (Slipper) or Rebels (Genia + Cooper) – answer Rebels even with neither player on the field. Both teams were filled with fringe players but moreso the Rebels. The Rebels set piece seems to me to need work, it will balance their class if not sorted. Well done to the Brumbies for the stream. Trial matches can sometimes not be good guides to the season, but it was very heartening to see the Brumbies play an attacking, running game with ball in hand. Looks like the MacKellar plan has survived the break. Not often all eight tries in a match are scored out wide. TK really looked good with the ball and seems to have regained quite a bit of pace. Maybe over some long term niggling injuries? 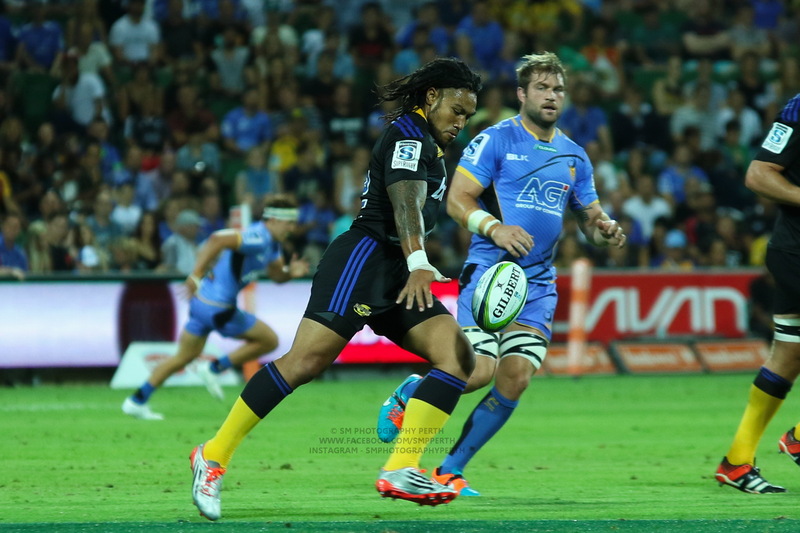 Pulu is fast, and set TK up nicely for the first try. All three No 9s played well, but I thought both Joe Powell and Ryan Lonergan outplayed their respective opponents. Joe’s dart for TK’s second try was a beauty. Notice too that it started with a lineout pinch and charge by Darcy Swain – the best young lock in the country. Valetini (the Brumbies one) looked very strong and even jumped in the lineout. Just what we might be needing at No 6 in the Wallabies come RWC time. I do like the way Tom Cusack plays, and he probably will be our best backup to Poey at No 7, but we were beaten in the turnover stakes by the Rebels. He isn’t a pilferer. Might be better with Samu at 7 and Tom at 6 when Poey rests. Our backrow could be the Achilles heel if injuries occur to the starters. Last year I thought we suffered from the Michael Cheika influence and the “Play this way” until I reckon Dan McKellar and the team said “Stuff it, lets play the Brumbies way”. Sadly I think players like Powell and Banks played the penalty for that and rode the pine or did not get selected as a consequence. I reckon Chieka carries grudges. I am inclined to agree. I have asked elsewhere if anyone knows which backline players were included in Cheika’s early training camp, but so far no response. I know QC was there, but from reports I don’t think any of Powell, TK or Banks made the squad. If that’s so, I think it’s fair to say Cheika has brought his favourites/grudges with him into 2019. I thought Rob Valentini had an impressive game. You’d have to be loving that result. Thanks Steve , good write up. Can you tell me what the defence from both sides was like? Did the heat affect them? Brumbies hadn’t done much goal line defence work in pre-season and that’s how they conceded most of their points. Rebels got carved out wide. Wouldn’t worry too much as neither team at full strength and had disrupted preparations. Same result last year but the Rebs won both real games. Result not relevant. Thank God rugby is back. Going to Ballarat next Friday followed by a barrel-tasting at a Rutherglen winery on Saturday arvo. Rugby and wine – what a weekend to come.